FPV ground station update - Sun shade and door loc..
1 hour build challenge. Delta wing ready to fly in.. If you follow my projects you might wondering "what now!" and rightly so, my builds don't exact follow any kind of plan but more what I have inspiration for at the time. 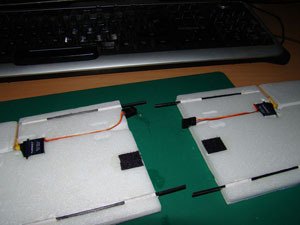 Well this time I fancied building a model which could fit inside my ground station case. Because of the design constraints I named it the "GS Micro Flyer", fitting don't you think? 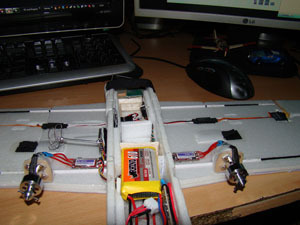 The wing tips, tail boom and tail vertical fin must all be removable in order to fit in the case. Below you can find a few pictures from the project which I will not be posting as a whole this time. The reason being as you'll see in the maiden flight video below it was massively under powered even though the motors should have give more... So I've stored the model until a later date when I'll revamp it in someway. 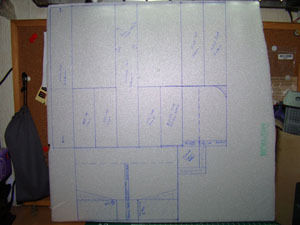 This is basically how much 6MM depron I had left at the time, So I spent time to think about the cutting template and came up with this. Pretty compact and doesn't leave much waste at all. Here you can see the direct torque servo placement. Note how there is a strip of wood the full length of the control surface. The servo arm then screws into, now the servo can be replaced if needed by only unscrewing the arm from aileron. The wing tips are supported by 2 carbon fibre rods on each wing and a velcro holding patch which actually worked pretty damn well lol. Now you can see the twin turnigy motors which supposedly give 130 grams thrust each but seeing the AUW was 195 grams with twin motors this should of NOT had power issues to fly... Because of these motors this project failed, be ashamed Turnigy. This was the model totally dismantled for transport in my ground station case. 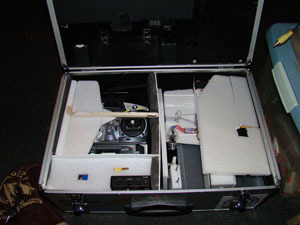 The idea being where ever the case went I would always have something to fly. The idea is sound the model is not. Part 1: Nincoair Redwing conversation to ailerons - rudder and full moving elevator..
Depron Delta (DD) v5 final build. Faster, sleeker and night lights. Motor version $5 Hobbyking Hand Launch Free Flight Glider EPO RC conversation Maide..